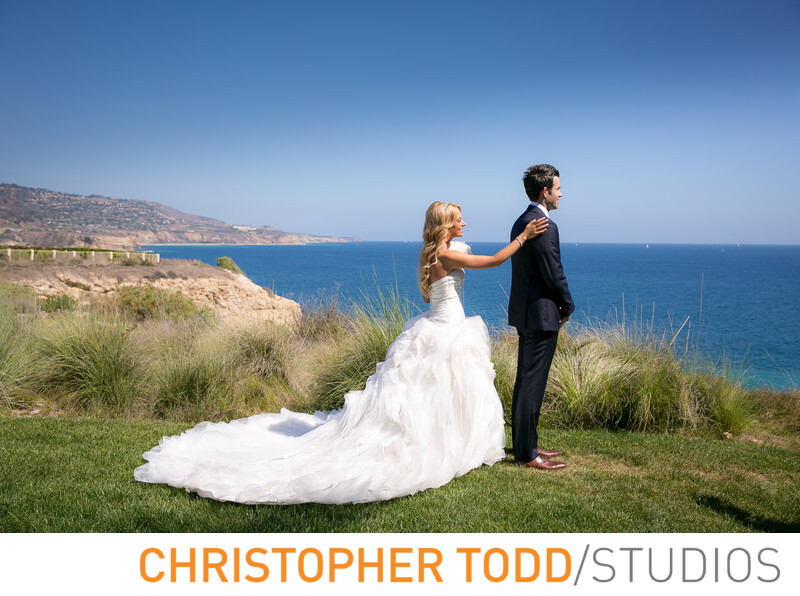 For a first look we took this bride and groom to the open bluffs of Terranea Resort. The stunning ocean views made this photo so special. Her gown was beatutiugul with its full cathedral train.